“A family that eats together stays together.” Countless reliable studies prove this is more than just a rhyme. Family dinners when done in a regular basis, will have a positive effect not only on our children but to us parents. In most cases, it can even change their perspective towards life! 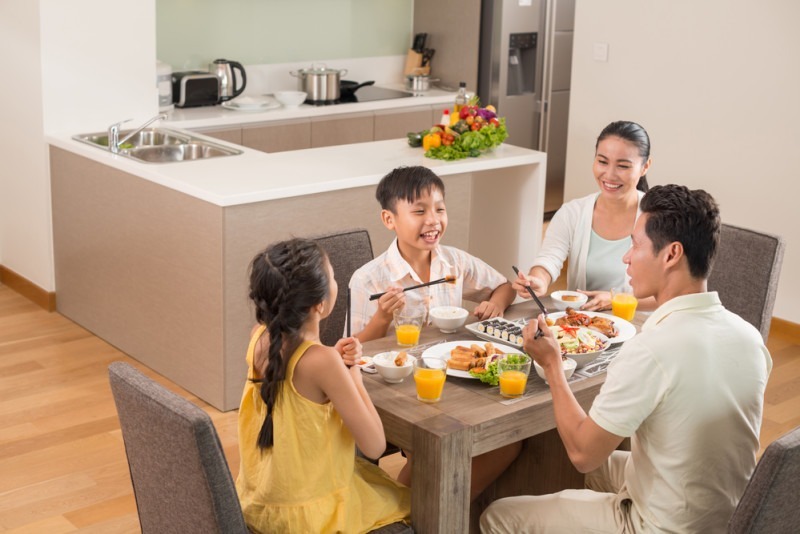 Exhaustion and schedule conflicts are two of the biggest hindrances why dinners, sometimes, don’t happen among families in Singapore. Despite those reasons, we hope these nutritional and psychological benefits will inspire us again to eat dinner together as a family. 1. Dinner is a good opportunity for conversations. It’s not about how delicious is the dinner or how much is in the table. Dinners changes our children when we start talking about the happenings in their lives and what bothers them. – Conversations are more effective if everyone in the table participates and parents aren’t only the ones talking about their jobs. – To make the children engage in the conversation, parents can ask them questions or bring something up that sparks their interest. E.g. How was your day at school? How was your soccer game? – We suggest minimizing distraction like televisions and radios for better family communication. 2. Dinner helps us eat right. There are, however, a lot of complaints about how much cooking becomes an almost impossible task after a long exhausting day of work. This has also become the reason why other families let their children eat out with friends after school. However, fast food chains have a higher possibility of serving unhealthy food! Studies show that family dinners increase the intake of fruits and vegetables, lessen the chances of us eating fried food and drinking soda. – If the maid agrees cooking dinner for us, aside from doing household chores, then it’s a great reason to start family dinners again! – We can also cook as a family to lighten the work. It’s not too early to involve children in the cooking process. They may take interest in cooking in their young age. It is such a useful skill to learn. – To encourage children to eat with us during dinners, take note of their favorite meals, and suggest the menu to the maid on a rotating basis. You’ll be surprised in their enthusiasm in eating with us! 3. Dinner gives children understanding of their parents’ rules. We found out why dinners drastically lower the teen’s chance of smoking, drinking, and drugs! 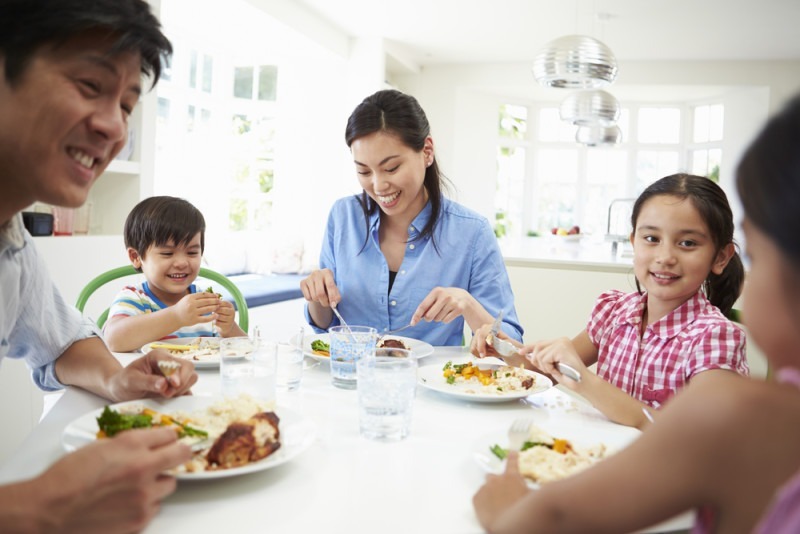 According to a study by the University of Florida, children are more likely to understand, acknowledge, and follow the boundaries and expectations set by their parents when they eat dinner together. When we sit down to eat and converse during meals, rules are spelled out better for children to understand. Whether we admit it or not, we rather do other things like watching television and internet surfing to unwind after a long day of work. Family dinners are better stress-reliever than any of these activities! Another research by Brigham Young University in 2008 concluded that moms reduce tension and strain from long hours at the office when they sit down to eat with the family. Dining together will also help our family save much instead of dining outside. A home-made meal is obviously cheaper than the food we purchase in restaurants and fast-food chains. Try to do the Math! Eden Grace Maids aims to bring useful tips in every situation. The agency is our helping hand not only through maid services but also through giving us necessary information that can remedy our household problems.